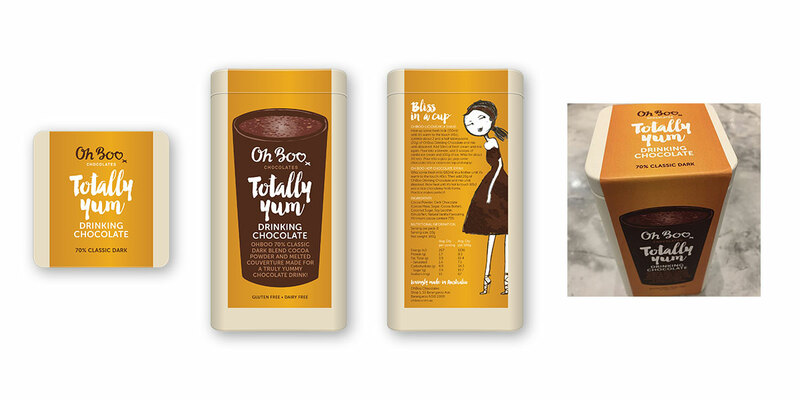 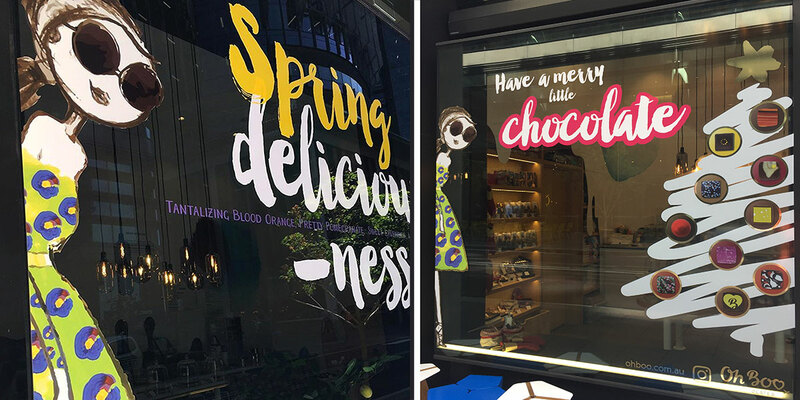 The brother and sister couple responsible for OhBoo have been creating and selling handmade chocolates for over 9 years and to coincide with a move to their new Sydney store at Barangaroo they were rebranded (Branding, Store Design and Packaging by ‘End of Work’ strategic and creative consultancy). 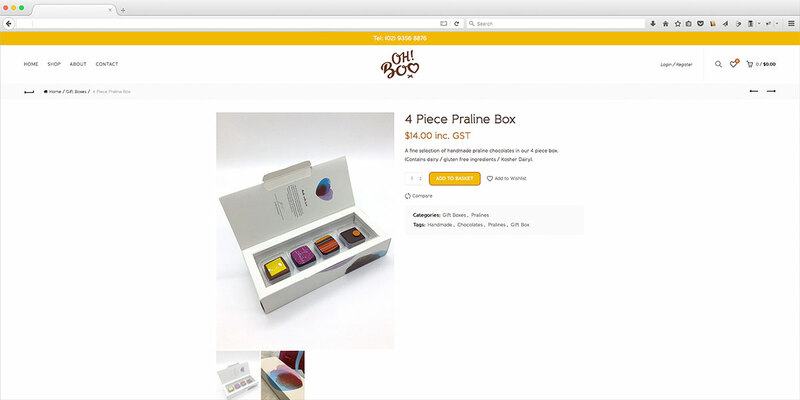 They then came to me for a new website and retail graphics. 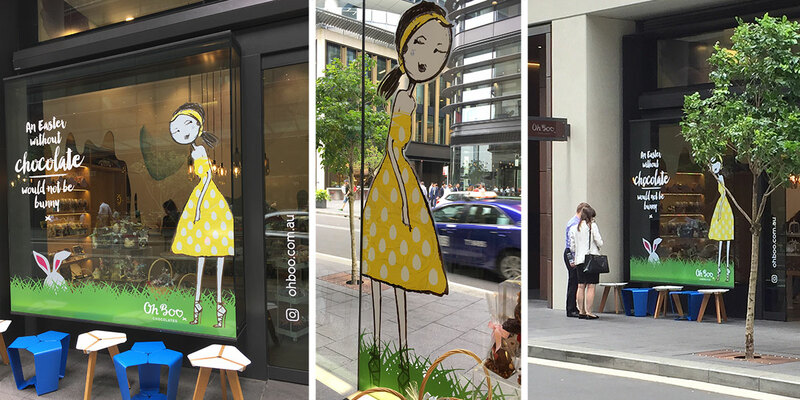 A cheeky, confident tone of voice is a key component of their communication style and is based around the brand’s main character, an imaginary figure called Miss Boo. 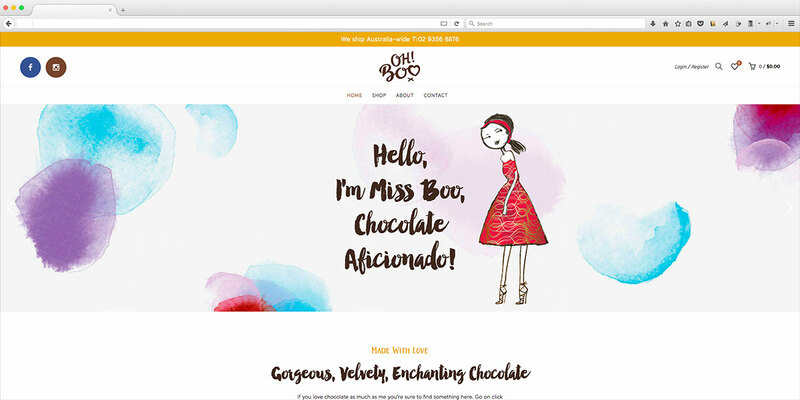 One of my tasks was to develop the language used on the website and in the store creating a savvy dialogue spoken by Miss Boo. 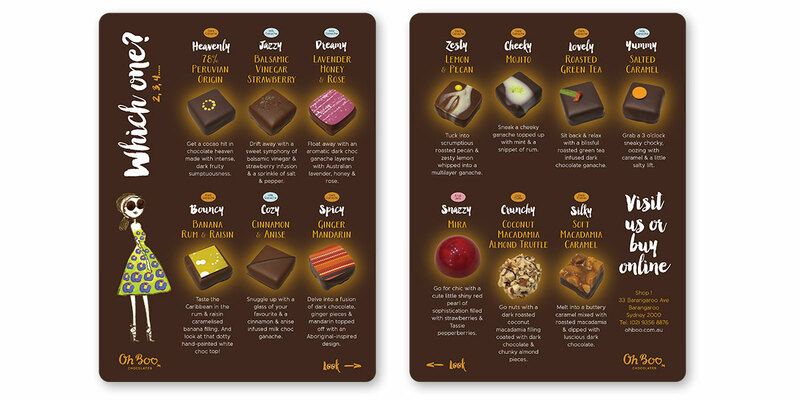 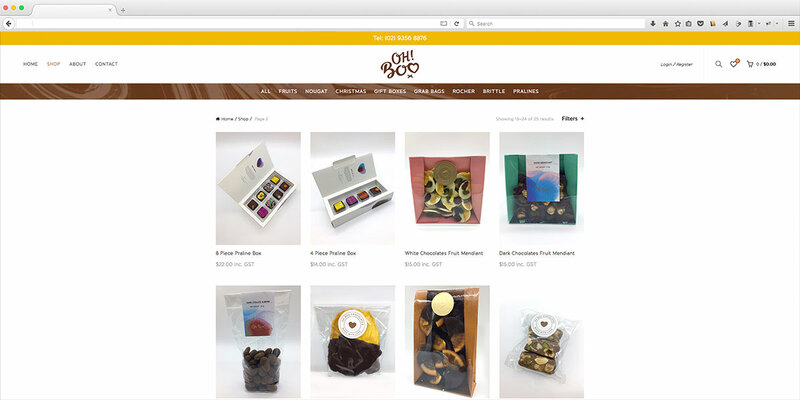 The website and subsequent store windows talk to people who just can’t do without chocolate!